Examine the following slides, identify the listed features. Survey each slide for the best typical field showing listed features, and illustrate it at the indicated power, labeling the listed features. At home, note the significance or function of each feature in a sentence or two. 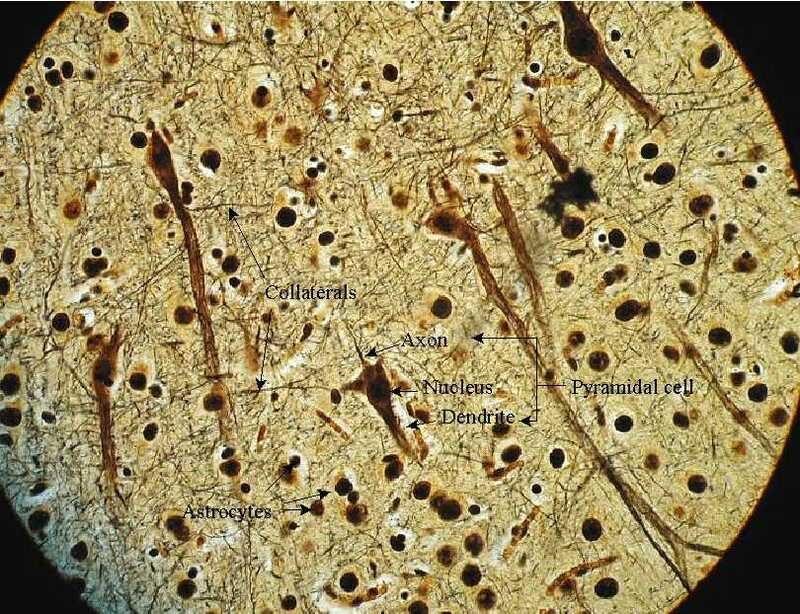 pia mater (this vascular tissue forms the surface of the organs of the brain, and descends down into and lines the sulci. 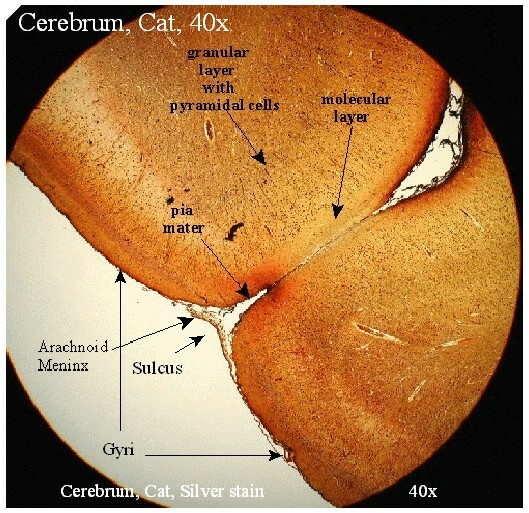 Here is a labeled version of the cortex with pyramidal cells . 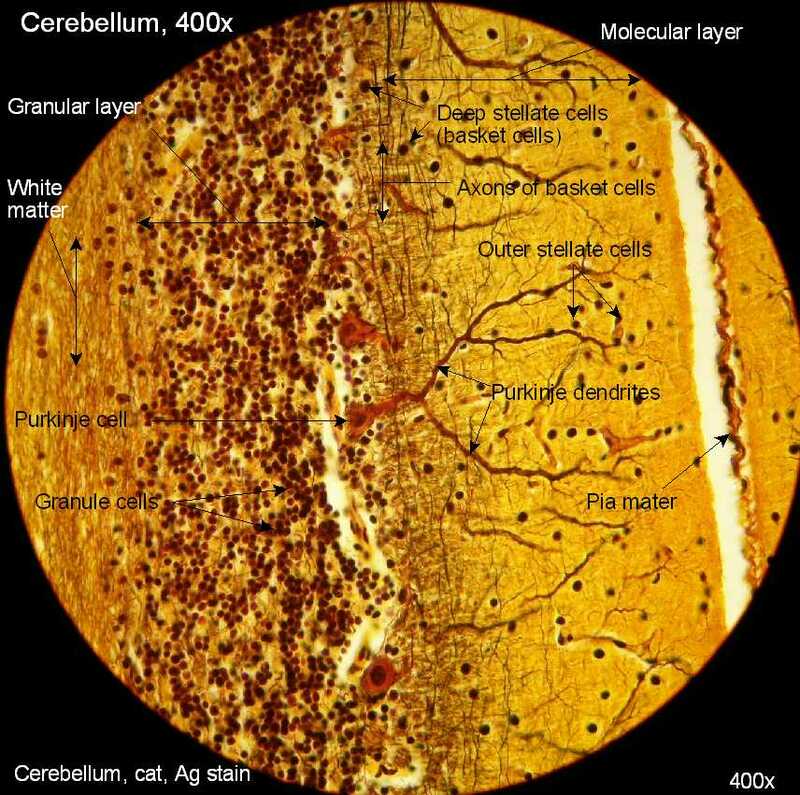 Here is a labeled version of the cerebral cortex, 400x. 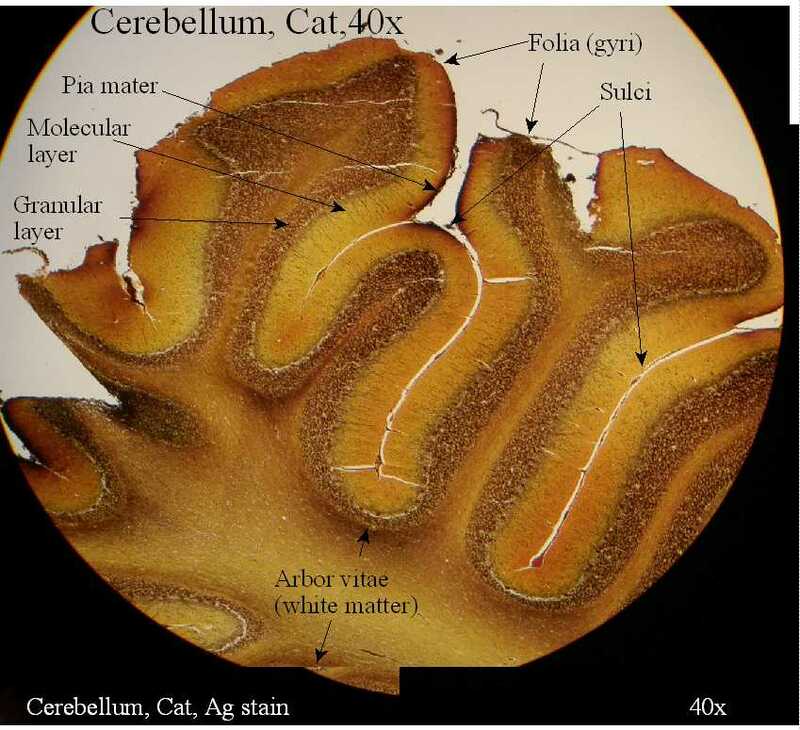 Cerebellum, 40x: Note that the structure is much more refined, the sulci deeper, and the gyri narrower. Here they are called folia. 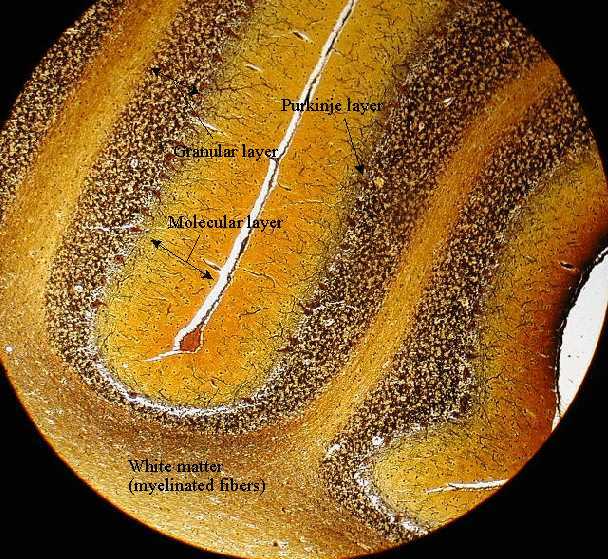 Here is a labeled version of the cerebellum, 100x. axons of deep stellate cells (also called “basket cells”). They lie near but above Purkinje cells. Penny Oliver, an artist, was inspired by this micrographic image of Purkinge Cells to create a painting of it.